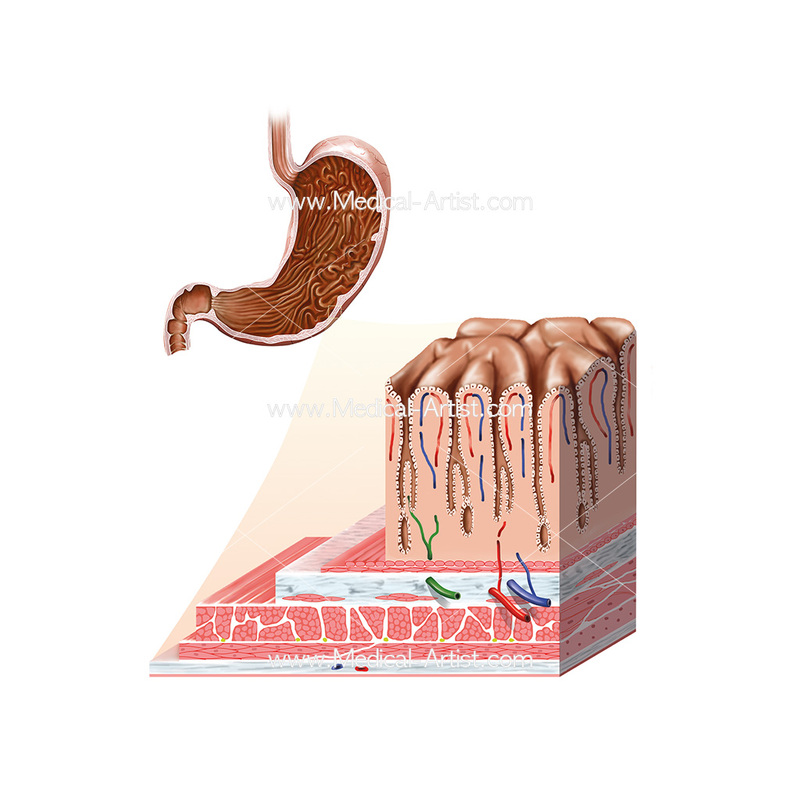 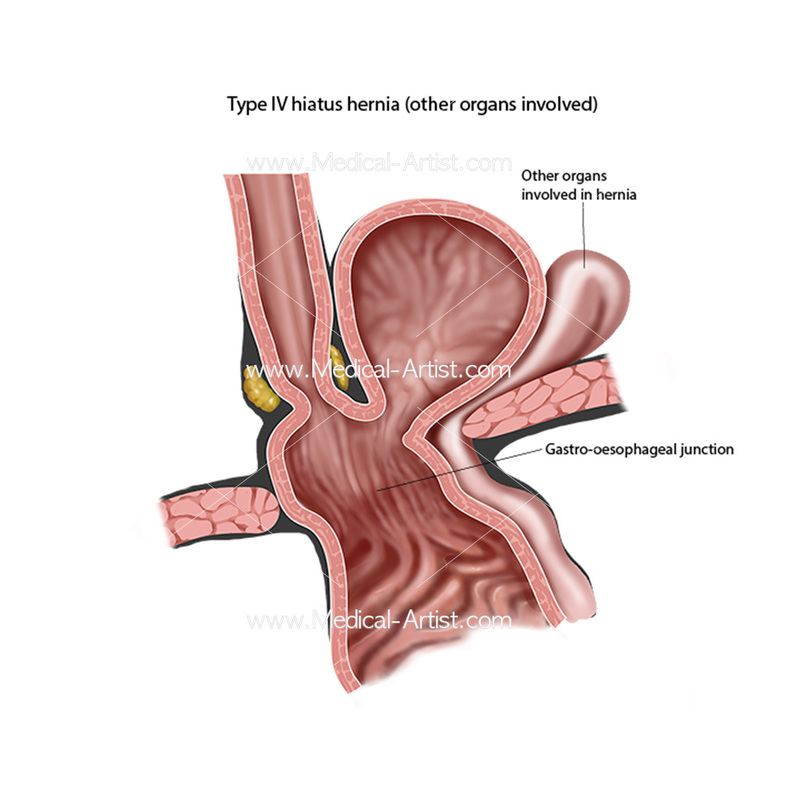 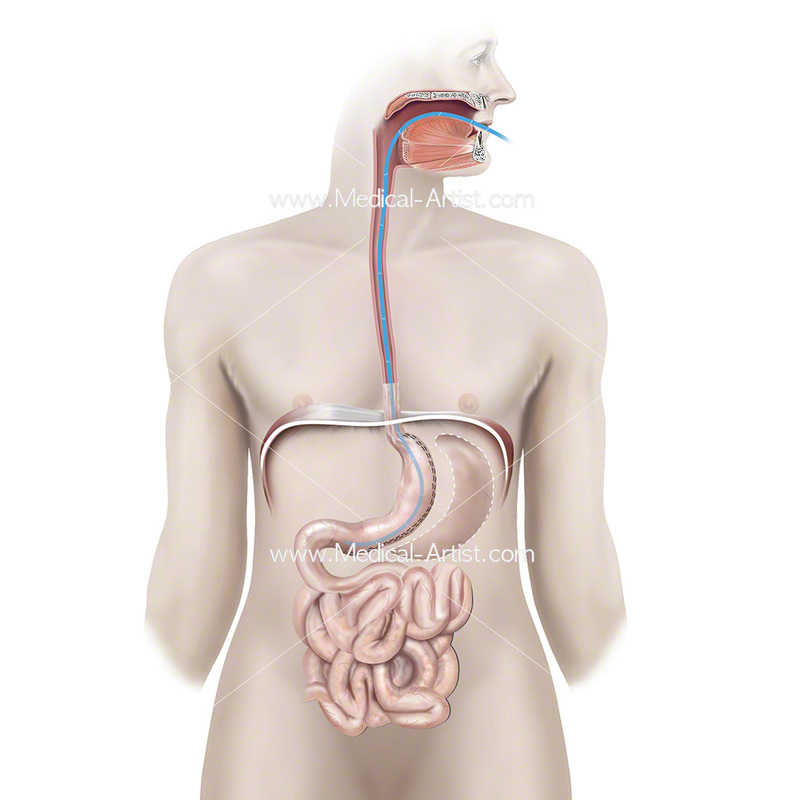 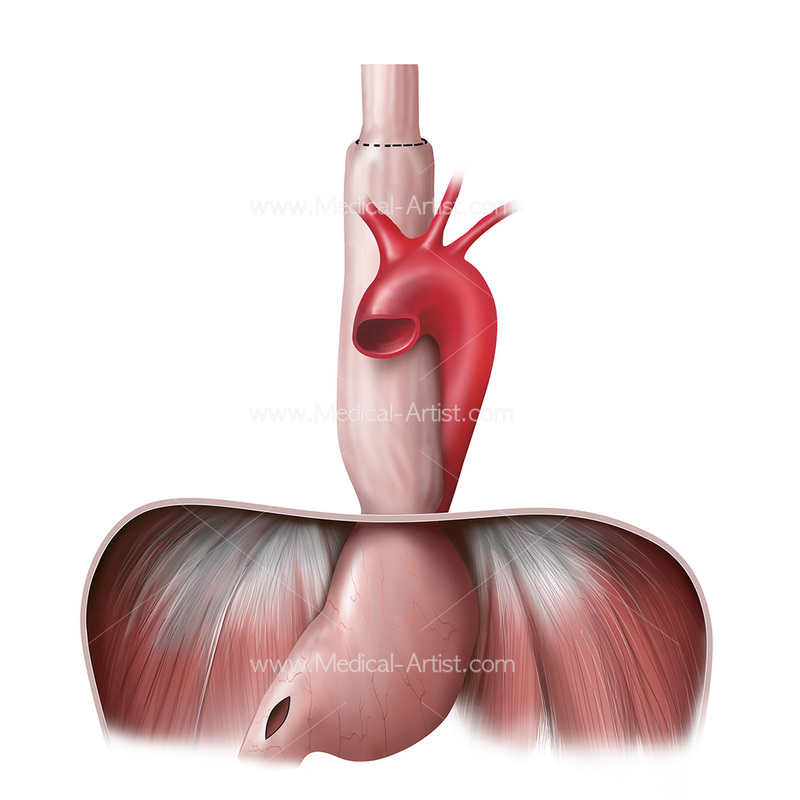 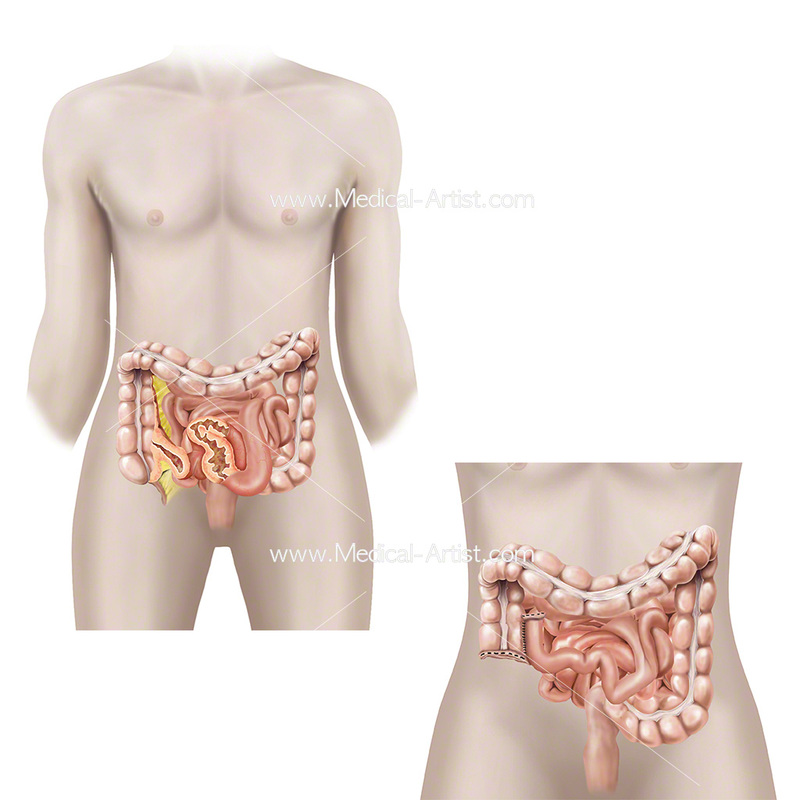 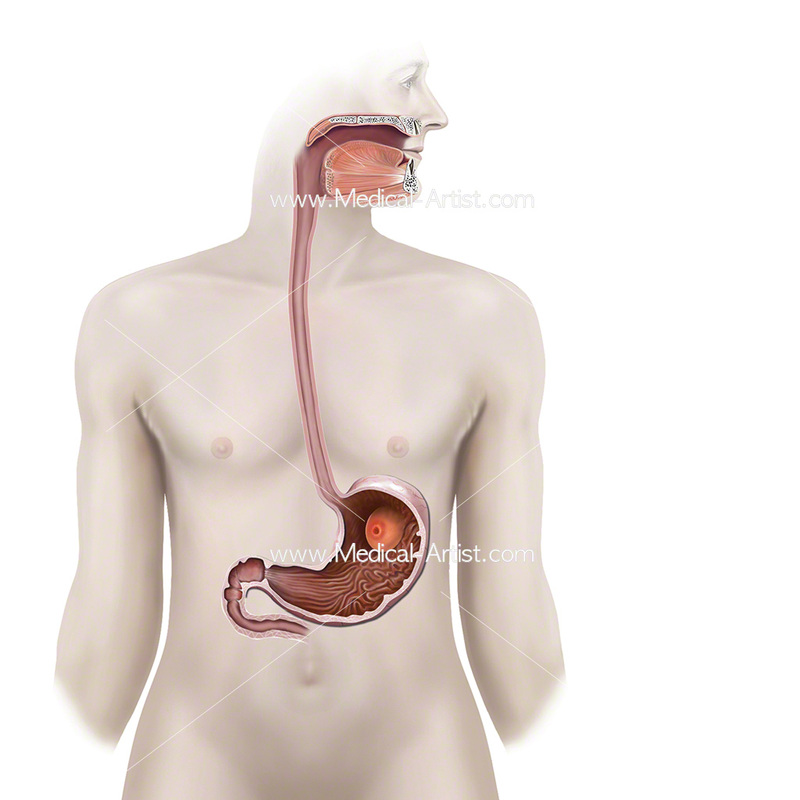 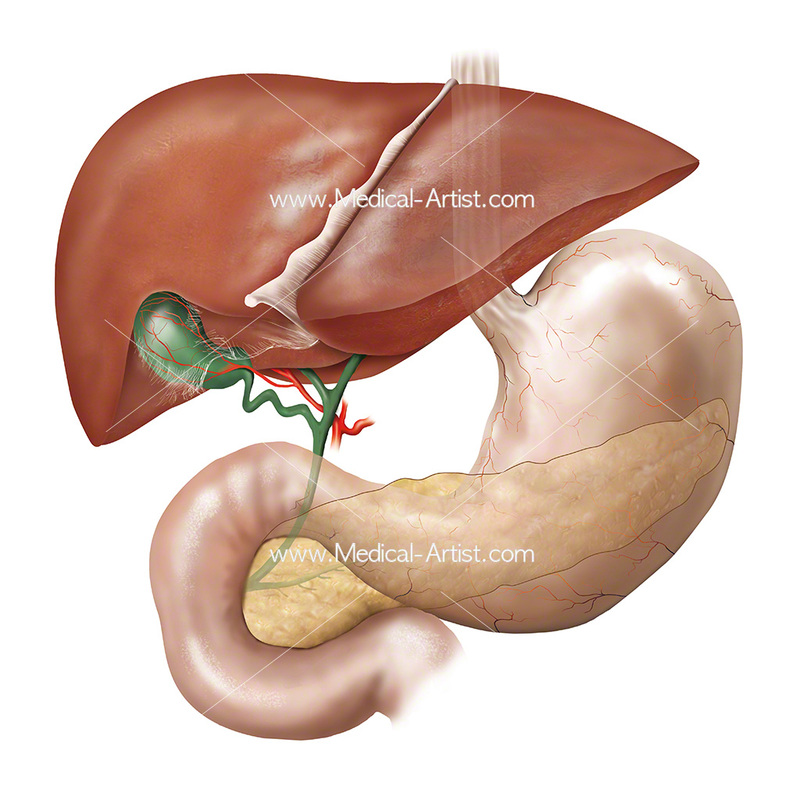 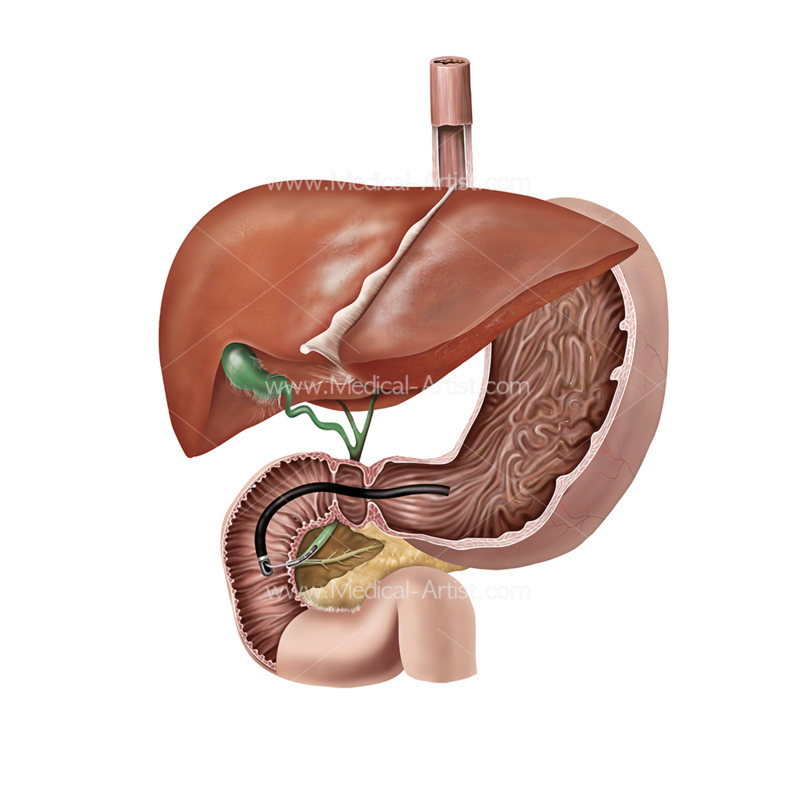 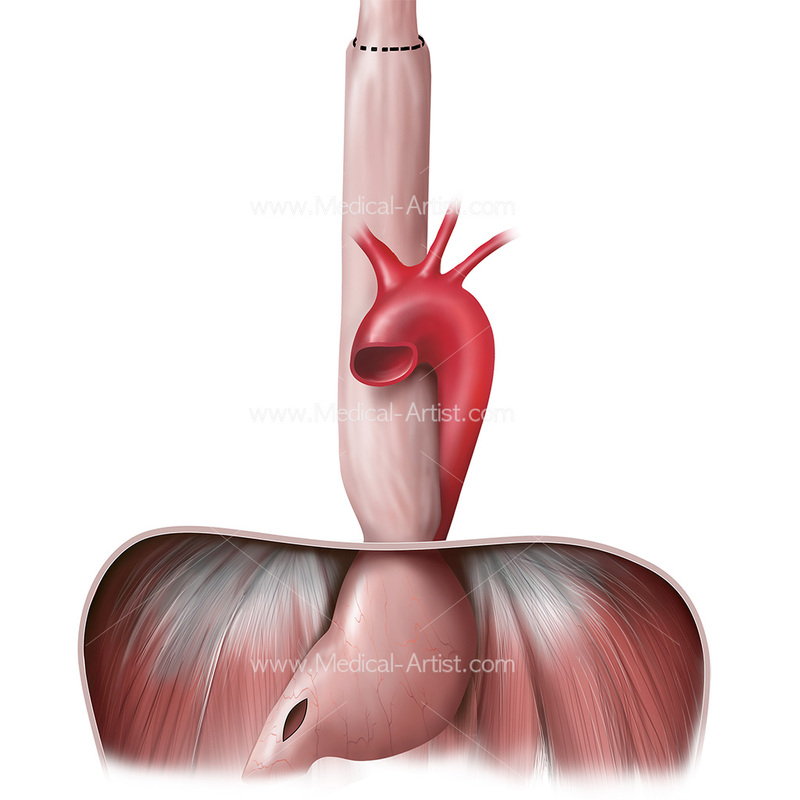 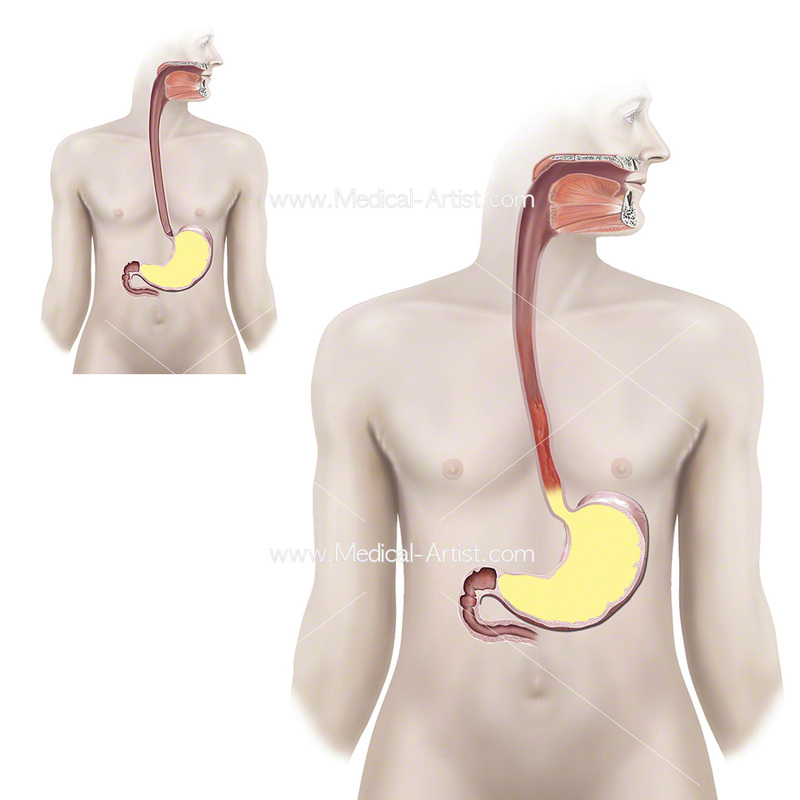 As a medical illustration studio with fully qualified medical artists, all areas of the human body such as the abdomen are able to be illustrated in intricate detail, from their normal healthy anatomy to visual descriptions of function to pathology and disease. 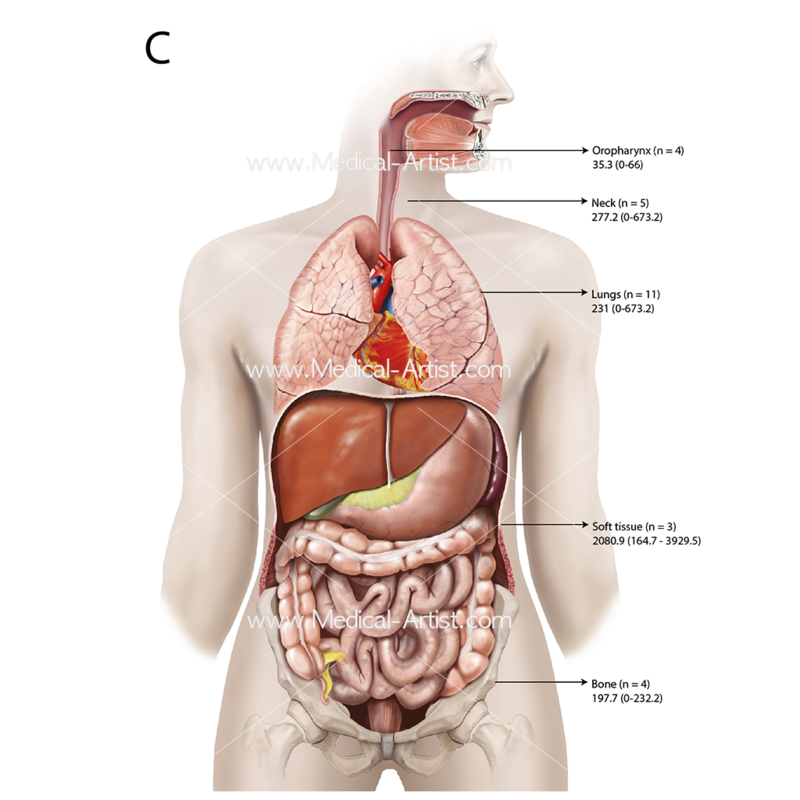 Here, we see various medical illustrations of the organs within the abdomen and associated surgery, and these illustrations have been completed directly for clients such as surgeon’s, educational publishers, patient education posters, patient consent forms, to complement websites, to medical papers and any business in the market where clear visual interpretations are needed. 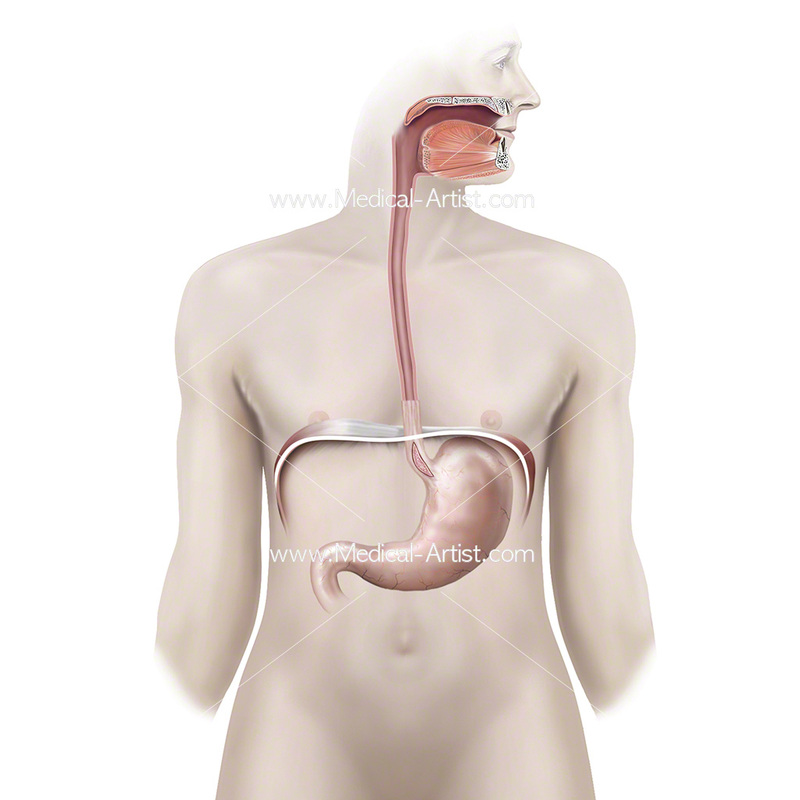 All client projects have been completed with the aim of explaining complicated medical matter into an understandable and engaging format. 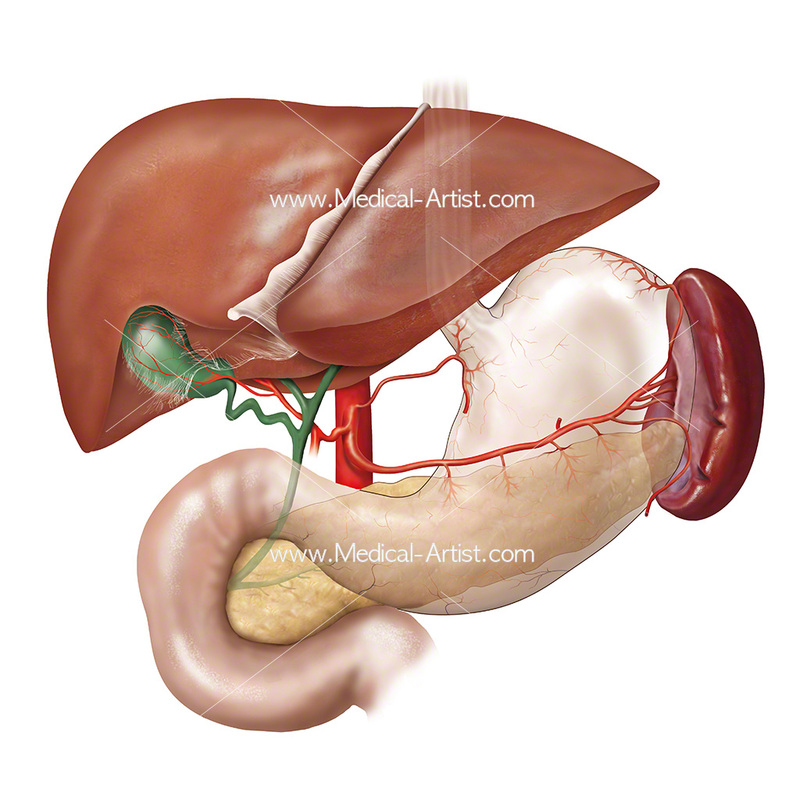 The medical illustrations that we provide can improve doctor patient relationships by helping patients understand treatments and surgery. From a client’s perspective we provide anatomically correct drawings to full colour illustrations that help support communication and educate where needed. 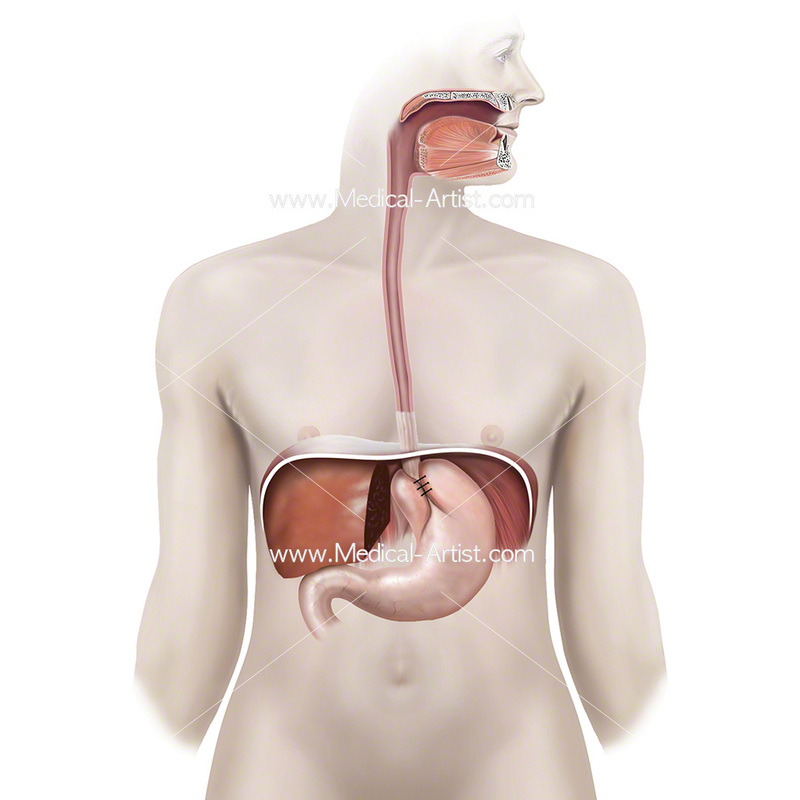 Abdomen, in human anatomy, is the body cavity lying between the diaphragm and the pelvis and from the spine in the back to the wall of abdominal muscles in the front. 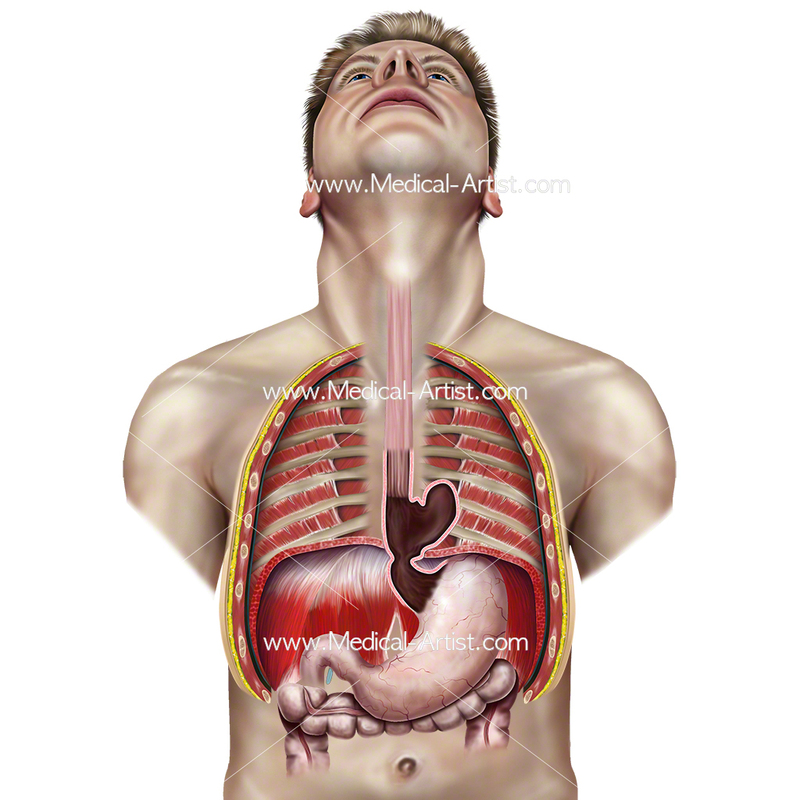 The diaphragm forms the upper surface of the abdomen. 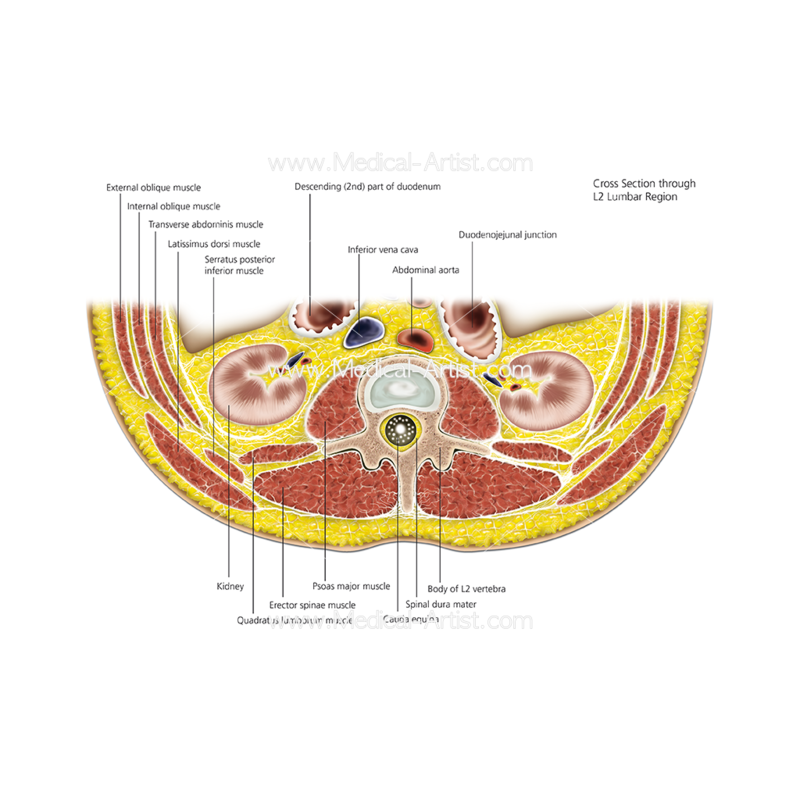 At the bottom level of the pelvic bones, the abdomen ends and the pelvis begins. 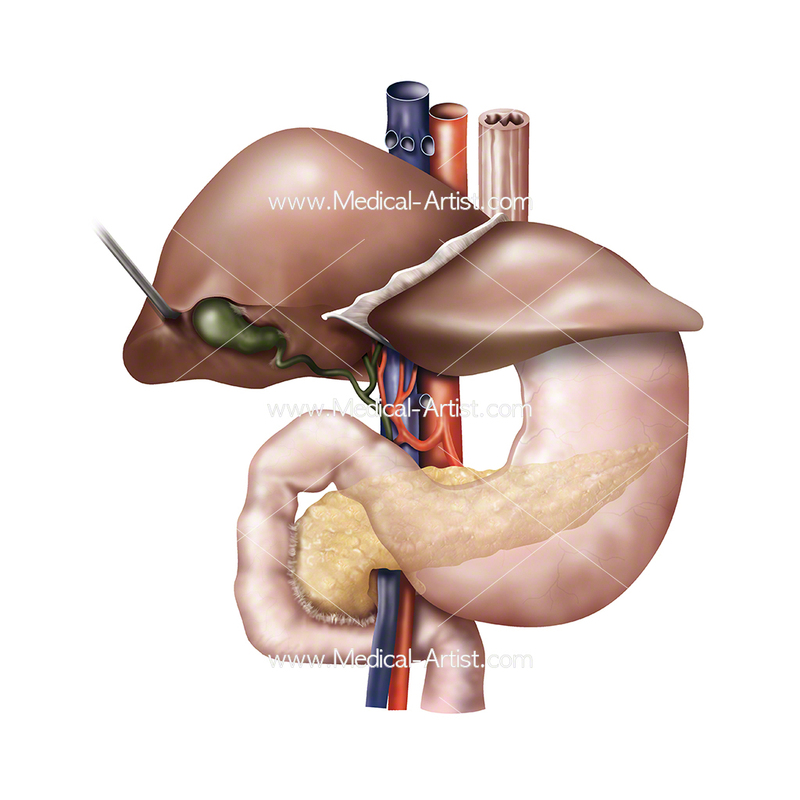 The abdomen contains all the digestive organs, including the stomach, small and large intestines, pancreas, liver, and gallbladder. 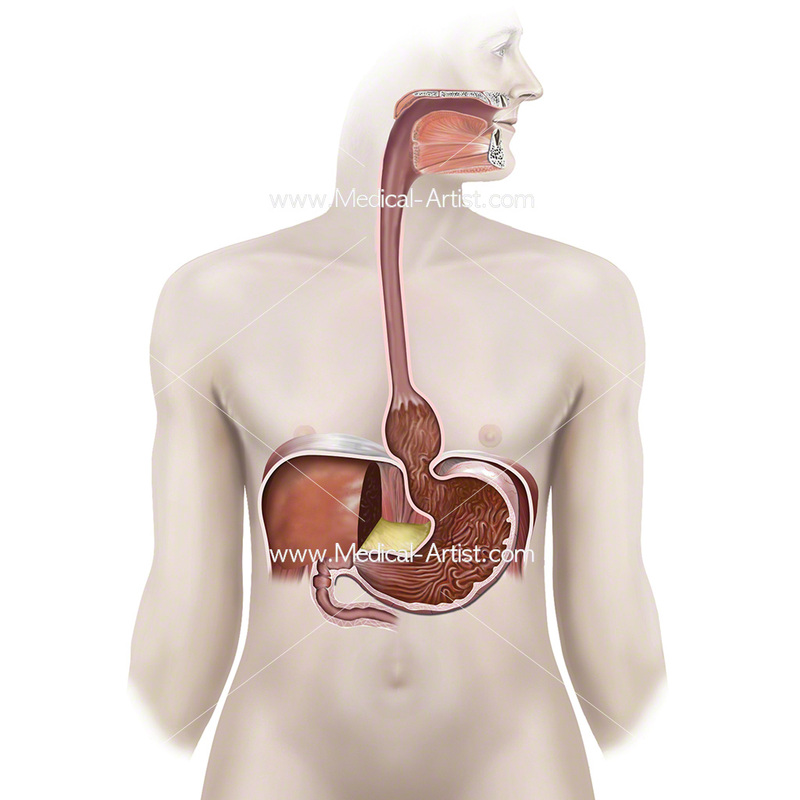 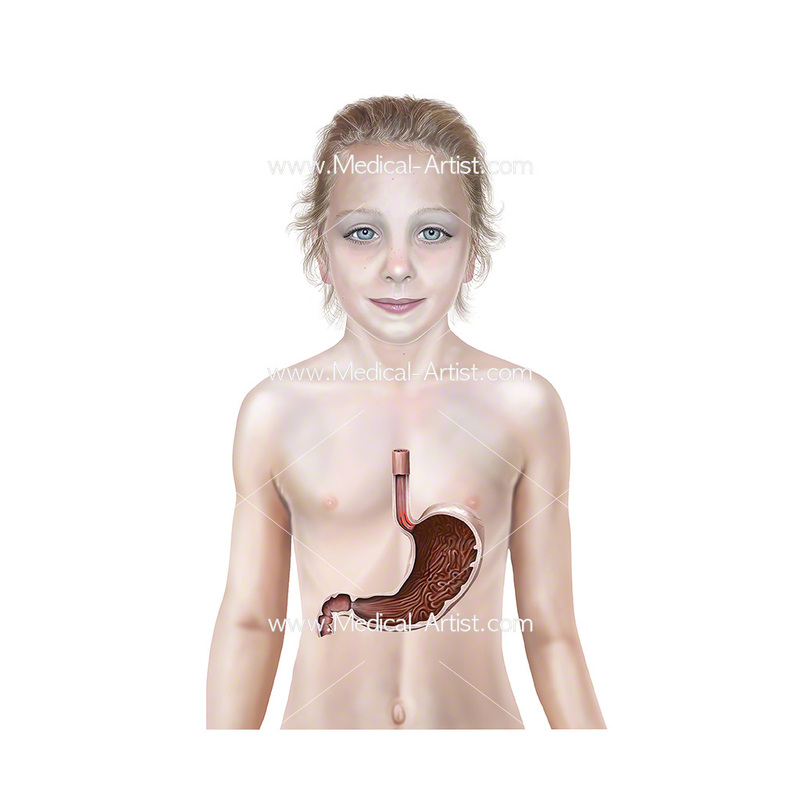 These are the organs of digestion and the spleen, which are surrounded by a serous membrane, the peritoneum. 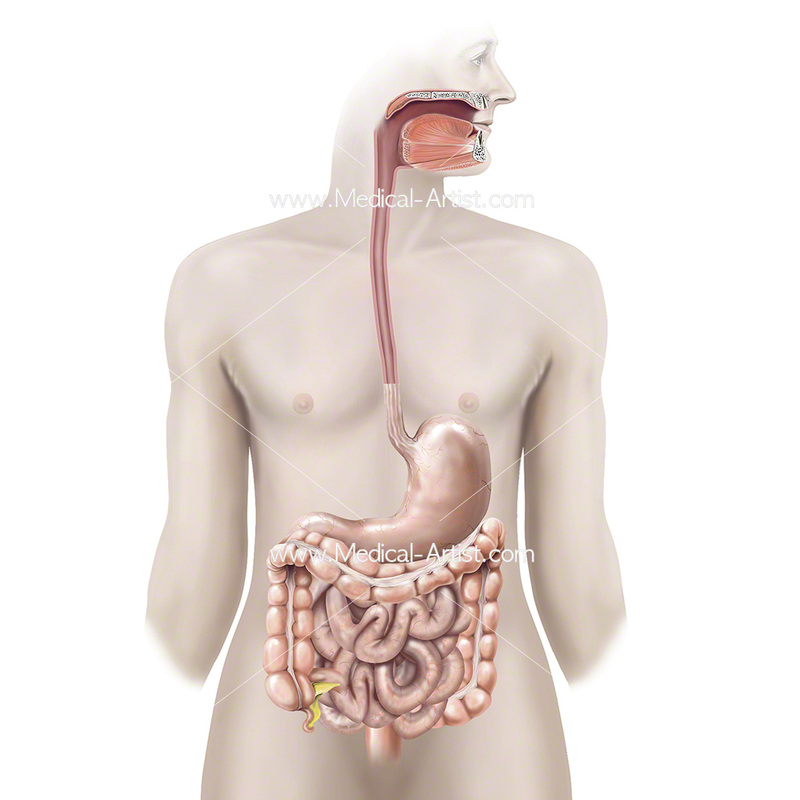 These organs are held together loosely by connecting tissues called mesentery that allow the organs to expand and to slide against each other. 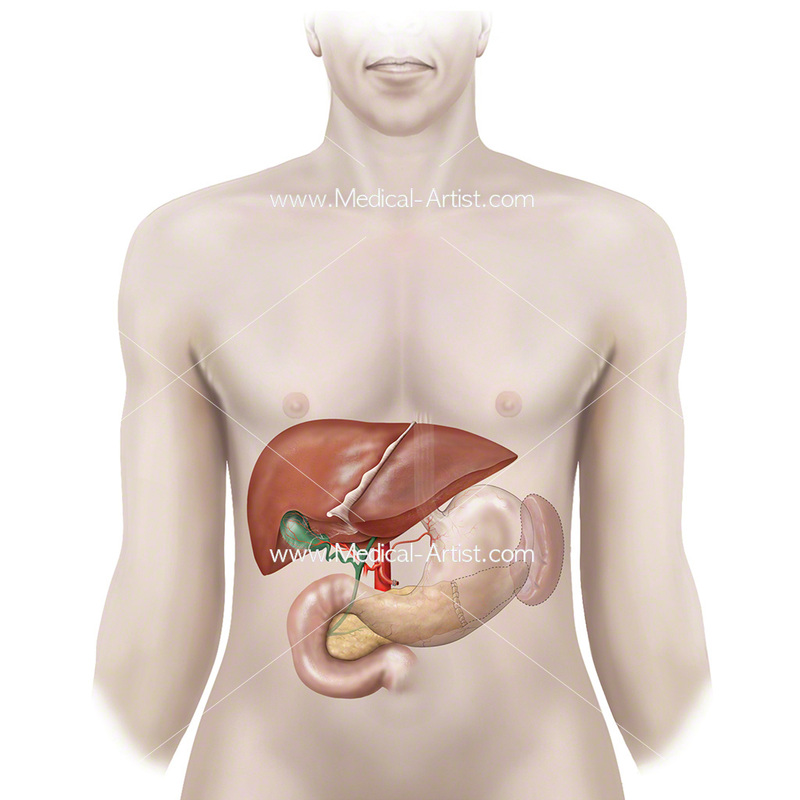 The abdomen also contains the kidneys and spleen. 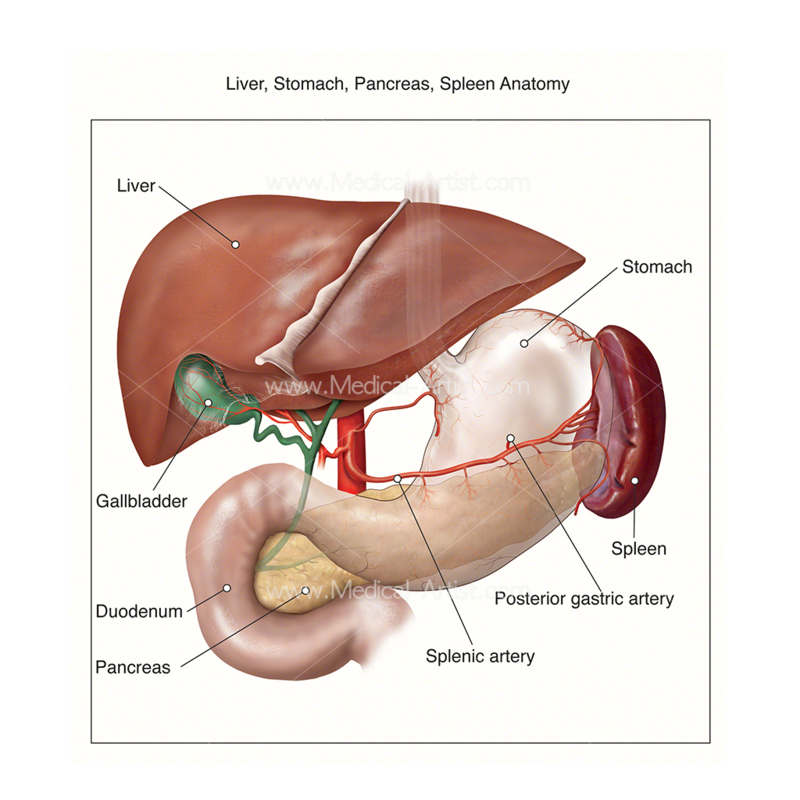 The term abdominal surgery covers the broad range of surgical procedures that involve the opening of the abdomen, its walls and orifices. 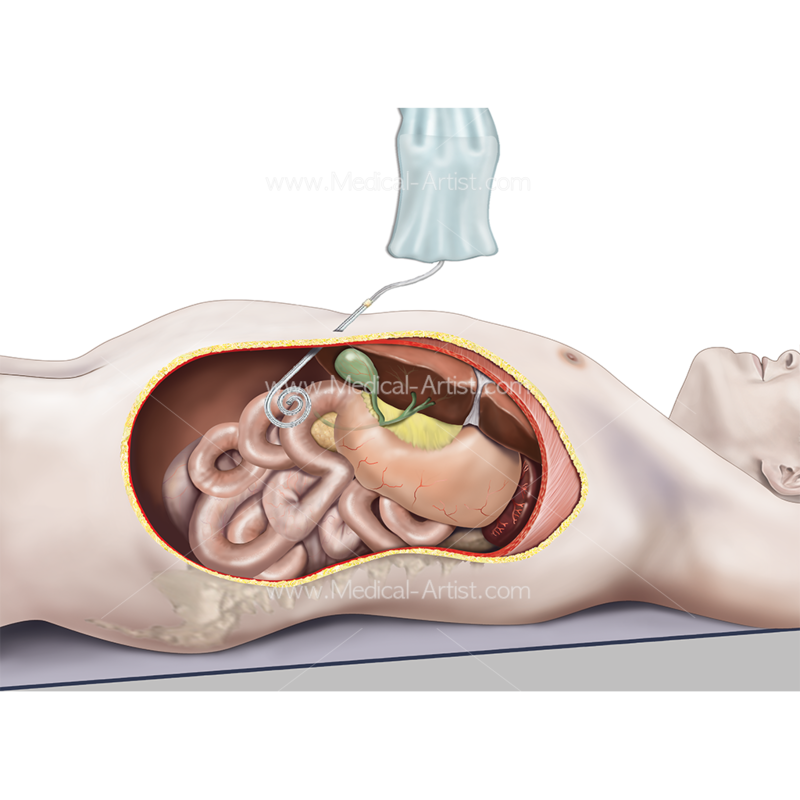 Opening the abdomen is a procedure used to access the organs in this area and concerns all of the organs situated between the abdomen, which is the body space between the thorax and pelvis. 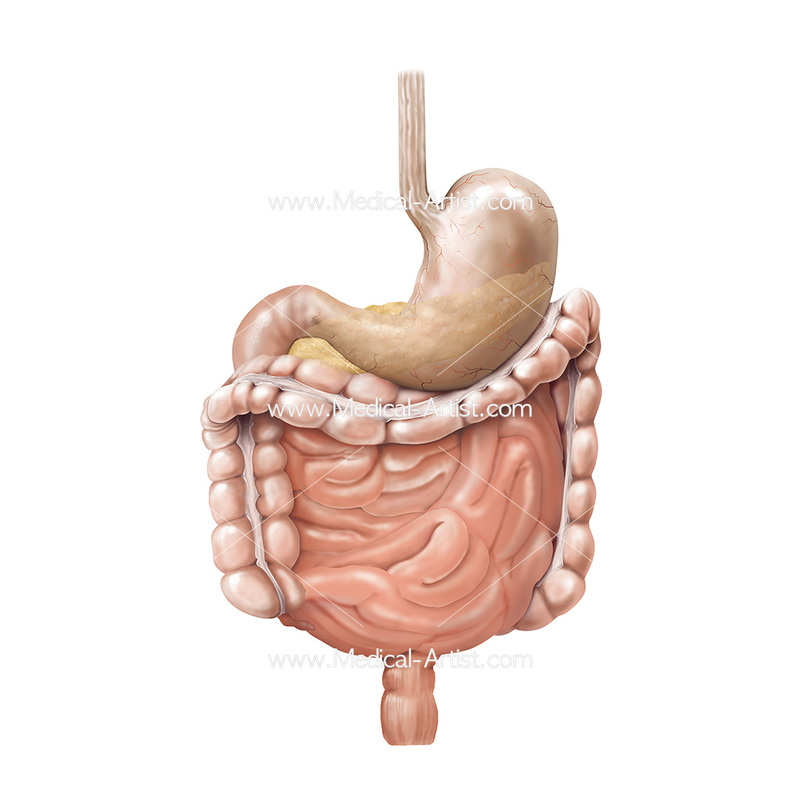 The abdomen contains all of the digestive organs, which are the stomach, the small and large intestines, the pancreas and liver and the gallbladder and the abdomen also contains the kidneys and spleen. 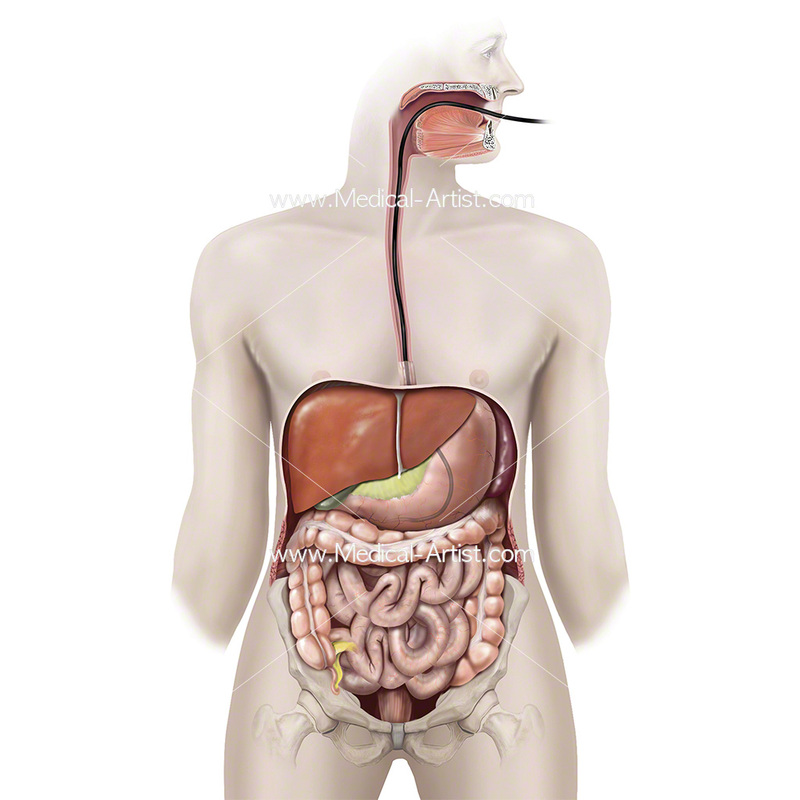 Abdominal surgery can be used to treat a number of conditions, including infections, tumours, inflammatory bowel disease or obstructions. 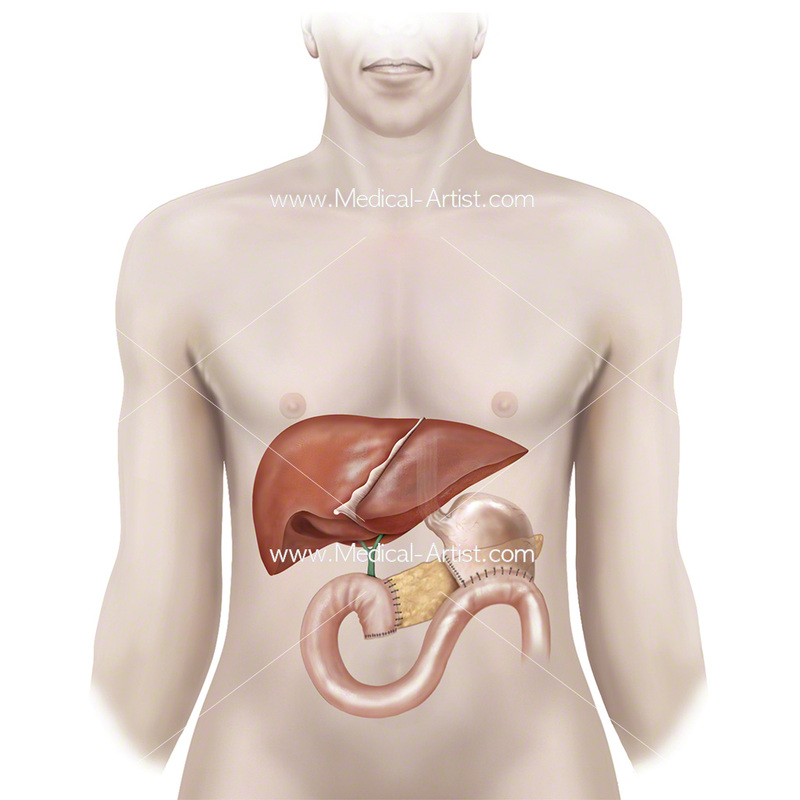 Surgery may be open or laparoscopic abdominal surgery. 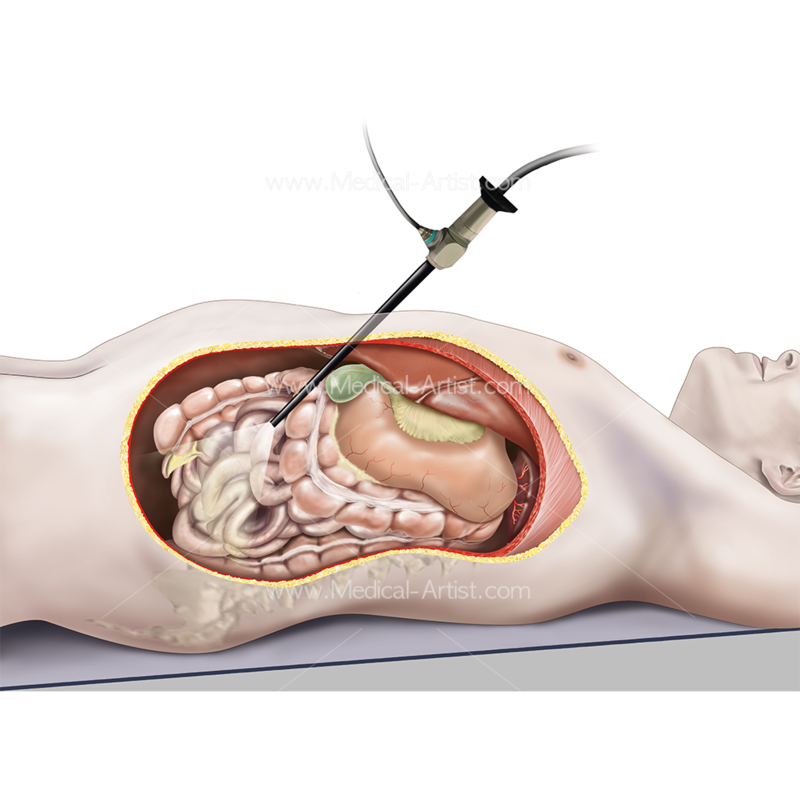 Open surgery is the traditional type of surgery in which an incision is made using a scalpel where the surgeon will operate after making the incision. 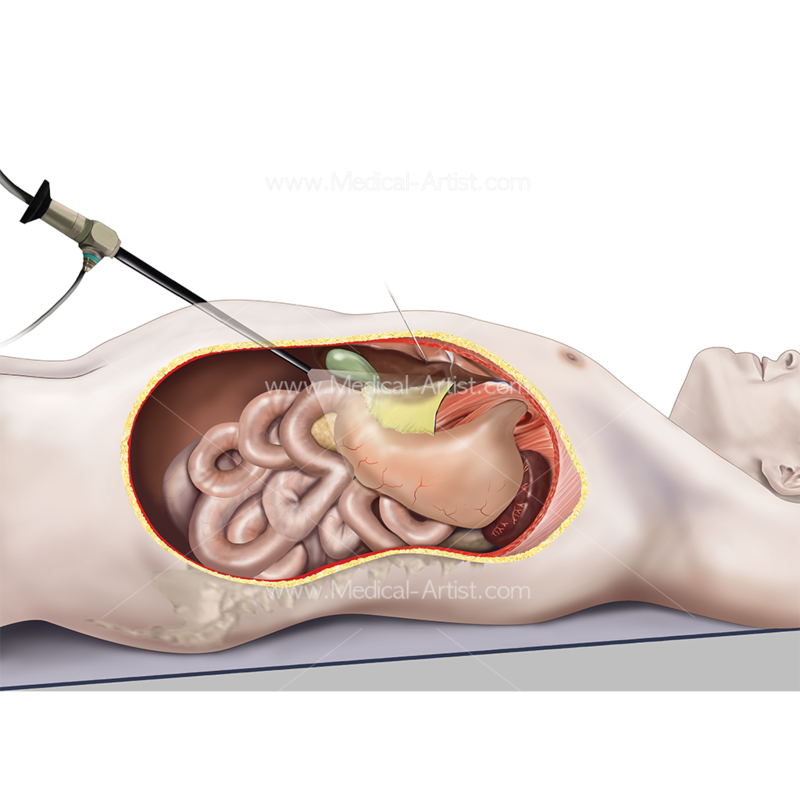 The surgeon then inserts the instruments and conducts the surgery which will later be closed with sutures or staples. 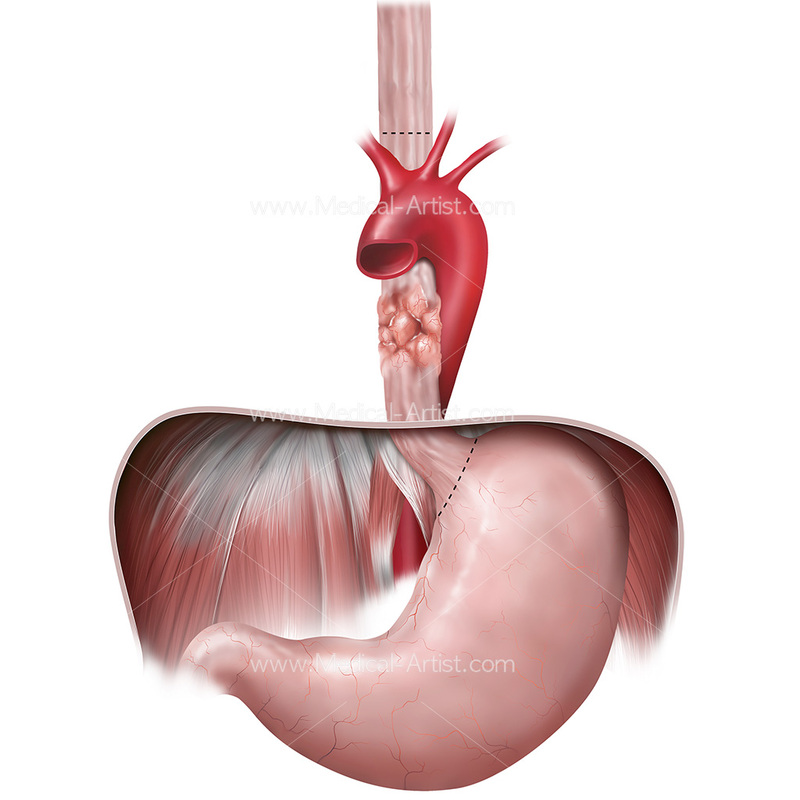 In a laparoscopic abdominal surgery, the surgeon makes several tiny incisions, and then inserts instruments placed through long, hollow tubes attached to a camera, which allows the surgeon to get a clear view of the internal organs. This procedure is also known as keyhole surgery or minimally invasive surgery.